Screen Junkies celebrated the Blu-ray and DVD release of Ant-Man and the Wasp (or, as they call it, West Coast Avengers) by giving it the Honest Trailer treatment. And as always (depending on your sense of humor, at least), YouTube’s favorite nitpickers did not disappoint. Referring to the Ant-Man series as “the franchise that everyone likes, but no one really cares about,” the clip doesn’t hold back. It starts off by advising Marvel Studios to improve the timing of its films. As entertaining as it may have been, even the most die hard Marvel fans should be able to see the absurdity in having a lighthearted action-comedy with Paul Rudd follow the emotional gut-punch that was Avengers: Infinity War. In typical Honest Trailers fashion, there are backhanded compliments aplenty. Case in point: yes, giving Evangeline Lily’s Hope Van Dyne/Wasp top billing was a step in the right direction. Unfortunately, however, she fell prey to the trope of female Marvel characters who wind up playing the “straight man” to their goofier male co-stars. Other memorable digs at the film include shots at Walton Goggins’ noticeably unpowered Sonny Burch, Michael Douglas’ lack of awareness on MCU happenings, and how the movie is essentially a two-hour game of “capture the lab.” However, one of the more agreeable points they make concerns the film’s villain, Ghost (Hannah John-Kamen). Sure, her methods may not have been glamorous, but can she really be blamed for that? We have to remember that she’s suffering from chronic pain. And since the titular heroes are trying to stop her, could they be the real villains in this scenario? Of course, folks are likely to take issue with the complaints against Michael Pena’s Luis, who many would argue is still a welcome comedic presence in the Marvel universe. You can check out the Honest Trailer for yourself below. 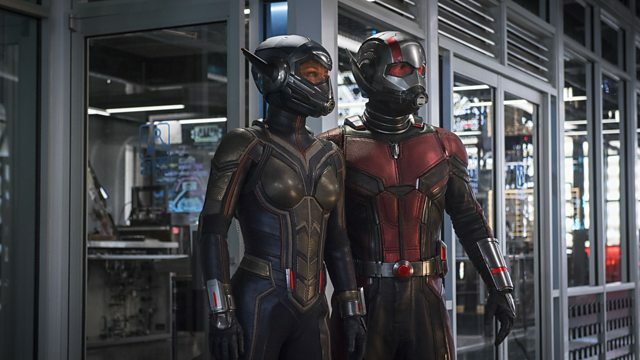 What do make of the epic-voiced narrator’s assessment of Ant-Man and the Wasp? Give us your take in the comment section!